Last weekend was a big one in the blogging world - as a blogger you could not have missed all the excitement of Cybermummy, which for the non-bloggers amongst you is the UK's premier conference for all the Mum bloggers out there. I would have loved to have gone but there was the slight problem of being in the wrong country! However, it would have meant that I'd have missed not only Aaron's birthday but one of our very best friends coming to stay. Considering I now live in Cyprus it was a fairly obvious choice for the letter C in my series of A to Z posts. We've now been here 18 months and it feels like I've been here forever. We took a big risk in moving, and went against all kinds of sensible advice of the type you read online about moving abroad. I don't regret anything we did (apart from maybe spending a bit too much money in the first few months!) although I'd have to revert to the same advice that I read so often to anyone else thinking of doing the same thing! Flashback Friday - Leo's first holiday! A couple of weeks ago for Flashback Friday I was looking back to our days spent messing about on the canal. Although my favourite times were in the pre baby, drinking all night days we had a surprisingly good 10 days aboard with a 5 month old Leo for his very first holiday. I was a little worried about how we would get on, especially as there were usually at least 3 of us on board making it much easier to work the locks, I was concerned about reaching a lock at feed time and if would would be able to cope with just the two of us. 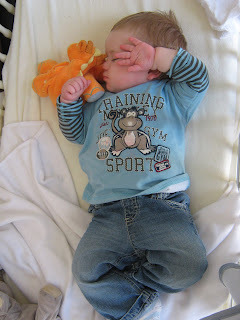 It turned out to be just fine, in fact it was very good for us and him as he slept through the night for the first time ( and carried on when we got home) and was left to his own devices a little more than usual where we were so busy. 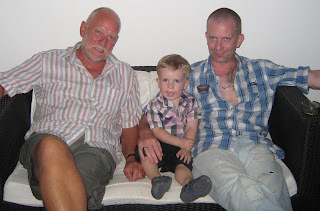 In honour of Father's Day yesterday (and the fact that I didn't actually get my lovely Dad a present) I thought I'd have a rummage through some old photos, as you know I love my old photos and as excuses to look at them go I figured this was a very good one! As far as I can recall, I have always got on very well with my Dad even in my teenage years! I was (in my opinion anyway) a very well behaved teenager, there were not too many rules for me to follow and I was always worried about getting into to trouble with him - so worried that I never really did so I still have no idea what the punishment would have been! It's no secret that I love facebook, I have more contact with some people now than I actually did before leaving the country, although is it debatable how close that contact is, it is very easy to 'like' someone's status or leave a quick comment on a photo but are you really connecting with that person? I'm not sure if at times it reduces the likelihood of a 'real life contact of a meeting in person or even a phone call. I get birthday wishes from people who I haven't seen for 10 or 20 years and you know it's not because the date is etched into their mind - it's the oh so handy reminder they get when they log on to facebook on that day, but it's people that I would not have been in contact with before facebook. Although I started my 101 list last July it's only recently that I've joined forces with Sarsm and the others and their update posts. As I have already completed several items off my list I decided to do a round up of the things I'd ticked off in the first 6 months. I realised there were quite a few, and now it's June I'm almost a year into the challenge! I wanted to inspire someone to make their own 101 list, and had achieved that when a friend of mine started his own. and then of course I later found out that I had inspired more! 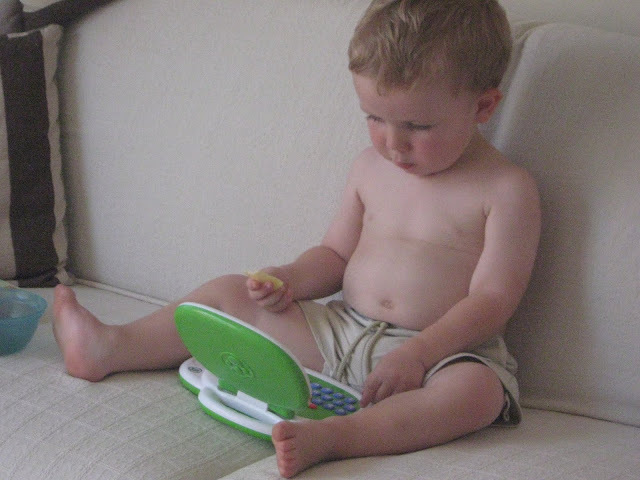 Last weekend I was very lucky to escape the demands of an over heated toddler and have some time to myself at the Home of Holistics in Agia Napa. I've always loved any kind of spa treatment I could treat myself to and was very excited to see in a local magazine that they have just opened a new Fish Spa. It's something I'd only recently heard of via updates on Facebook from friends in the UK who had tried it and Home of Holistics are the only place in Eastern Cyprus which now offer the treatment. My husband was highly amused when I told him what I was going to do as I don't like people touching my feet, I disagreed - well, for a start I don't mind people touching my feet as such just not tickling them.... and they are fish not people! I had been intrigued by the idea of it for a while now and even put it on my 101 list. Whilst on twitter a couple of weeks ago I started chatting with Jenny from Mummy Mishaps about how the time was coming up for our toddlers to start potty training, a notion which we are both dreading simply because we don't really know what or how to go about doing this with our boys. So Jenny came up with the idea of hosting a Potty Training Carnival - a feature where parents who have been through this could maybe offer advice on the do's and don't s when it comes to teaching our children how to successfully use a potty. Maybe some of you who are currently going through this training could offer your thoughts on how it is going. Maybe like Jenny and I you are thinking it is time to start your own potty training and have no idea how to start either, therefore using this carnival like us. It is often said you can do anything if you set your mind to it. It's been said to me many times and a friend of mine once told me that I was really good at doing 'big things' I have found though that for me there has to be something to help me get my head into it, when I lost weight I could never have done it without Slimming World even though I really wanted to do it and when I started blogging it was the linkups and memes that really got me in the swing of things. So I am very excited to have received my copy of Rosetta Stone's Greek Language course, I think this will be the catalyst that gets me in the habit of scheduling regular slots of time to do the lessons and finally progress my knowledge of Greek beyond "Hello, two beers please, thank you"
One of the very few things I miss about England is the canals, although it pains me a little to say it as it means Aaron is right again! His family have been big fans of narrow boating for years, they owned a boat before I met him and several years ago brought another. In the last couple of years Aaron and I went out on it many times, with various friends and once just the two of us, although that's much harder work without a 'crew' to help with the locks! 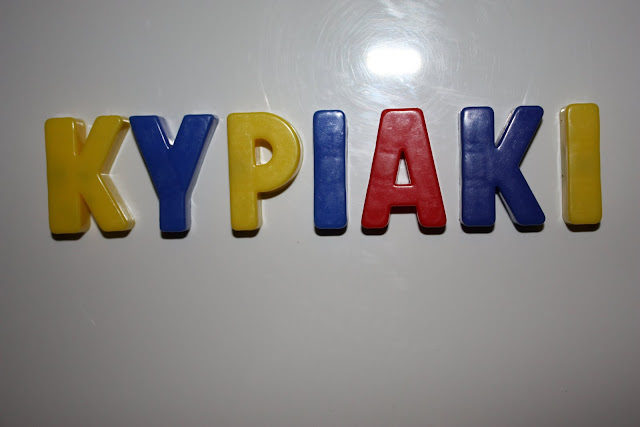 When we decided we were moving to Cyprus, one of the first things I did was start learning Greek as it's very important to me to learn the language of the country I'm living in. I brought several books and CDs to teach myself from although I may have been working on the assumption if I brought enough I'd magically learn the language over night as I have so many I could probably open a library! Greek is obviously not as popular a language to learn as say French or German and I spent a long time trying to find an evening course in my area. I did eventually find one and enrolled. Although it was enjoyable and I learnt a fair amount it was expensive for the amount of time spent in lessons. The course was split into two terms, payable separately and I was unable to complete it due to a certain little man being born right in the middle! Since joining up with some Sarsm and some other bloggers completing their own 101 lists I agreed it would be good to join in with their update posts, and as I haven't done one since I started I thought look back over the things I've done so far. 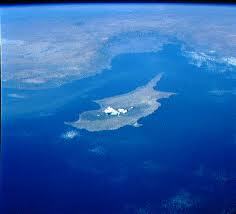 I started my list in July last year, and the first item I completed was to become an official resident of Cyprus. I then had a quite couple of months but ticked off two in one night in October when I sang karaoke on my birthday and went to Car Wash in Agia Napa. I also took Leo to his first Halloween party which was also on the list. In September we finalized our wills, applied for our VAT rebate and Child benefit all in one go, the first two were quite straight forward but the child benefit was hard work - I think I must have been so stressed about it I couldn't bring myself to blog about that one! What to eat, what to wear, whether to watch a film or not, I could go on and on. But looking back I've made some massive decisions with much less debate! Off the top of my head I can't think of any really bad decisions I've made to do with anything important, I won't give it much more thought in case I do and then I'll be annoyed! Flashback Friday - Sweet Sixteen? 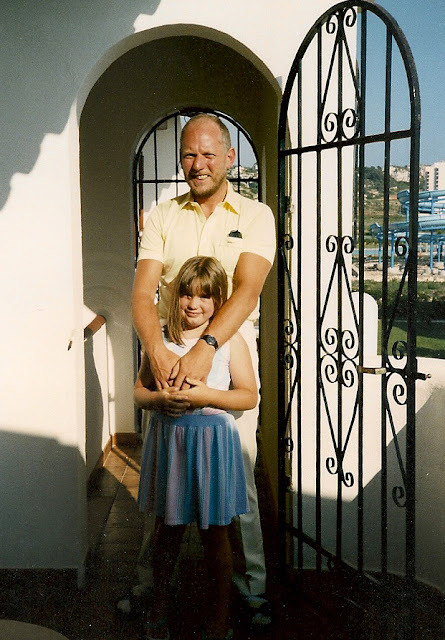 Growing up I was lucky enough to have several foreign holidays with my parents, when I was 16 however although excited about going abroad I was less then enthusiastic about 2 weeks stuck in Minorca with my parents! At that time I was out every day and most nights (ah those were the days!) 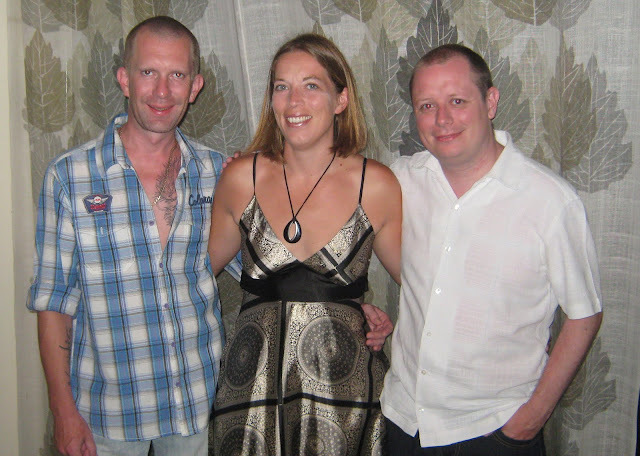 I was drinking, smoking and generally not spending too much time with my Mum and Dad. 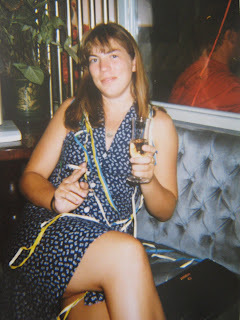 The night before the holiday I sat in the pub with my friends (yes I know at 16!) and I was actually envious of my friends who would be out that weekend, I was not looking forward to 2 weeks of not drinking and I expected it to be boring. When it comes to art and crafts activities (in other words messy) activities I must admit I'm not the most enthusiastic of mothers. I have very little patience and this does not sit well with short toddler attention spans and an very independent little man who doesn't like to be helped with anything! 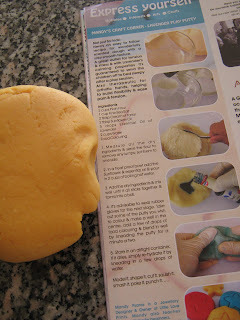 I'm trying to make much more of an effort with introducing new activities so when I saw a playdough recipe in this months Daxi Magazine (local lifestyle magazine here in Cyprus) I thought it would be a good place to start. I've only made playdough once and it didn't really go to plan, may have been the heat here but after just a few minutes of playing it turned into a big sticky mess, this recipie however was excellent and really easy to make. I'm grateful for many things, especially the fact that we live in a part of the world where we have access to medical care and vaccinations for our children. (even if you have to learn a new way of going about all of that stuff in a new and often confusing country) I'm grateful that I have a gorgeous happy and healthy little boy who makes me pull my hair out thankful every day. I'm grateful for our big mortgage lovely home and for my husband who works so hard to look after us, and my parents who also do so much to help. Thank the lord, he's gone to sleep!